Two firearms were seized in the operation..
THREE MEN HAVE been arrested after gardaí seized €4 million worth of drugs as well as firearms and paraphernalia in Dublin yesterday. The Garda National Drugs & Organised Crime Bureau supported by the Special Crime Task Force carried out a raid yesterday in the Ballyfermot Parade area of Dublin 10. The operation was carried out as part of ongoing investigations targeting serious and organised criminal activity in the Dublin Region. During the operation, gardaí seized cannabis and heroin with an estimated street value of €4 million (subject to analysis). They also seized drug paraphernalia, a vacuum packing machine, a cash counting machine and stun guns. A sawn-off shotgun and a semi-automatic pistol were also recovered in the raid. Follow up searches were carried out in the south inner city and three men (aged 46, 44 and 39) were arrested. They are in custody at Clondalkin and Ballyfermot Garda Stations under Section 2 of Criminal Justice (Drug Trafficking) Act 1996. Email “Gardaí seize cannabis and heroin worth €4 million in gangland crackdown”. 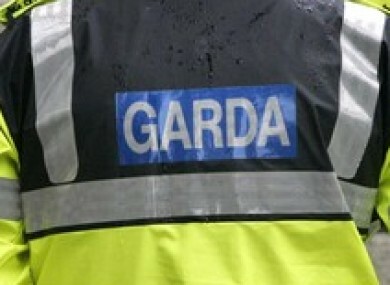 Feedback on “Gardaí seize cannabis and heroin worth €4 million in gangland crackdown”.